Transform bath time into fun time with our sweet-smelling, organic bebe wash infused with soothing orange blossom and chamomile floral waters. Extra gentle thanks to the moisturizing properties of larch extract, aloe vera, and a special blend of coconut lipids. Apply a small amount to your playful baby sea horse, bubble up and rinse. 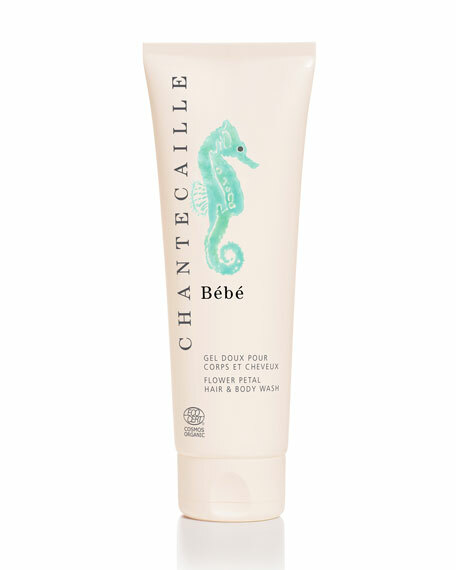 Each product in the Chantecaille Bébé line is plant-pure and certified organic according to the internationally recognized COSMOS standard. Wild Moss Rose: has moisturizing, soothing and itch relieving properties. Proven to reduce redness and itching caused by common irritating agents. ORANGE BLOSSOM: traditionally used for its relaxing properties. CORN FLOWER (BLUET): particularly effective in calming delicate skin. 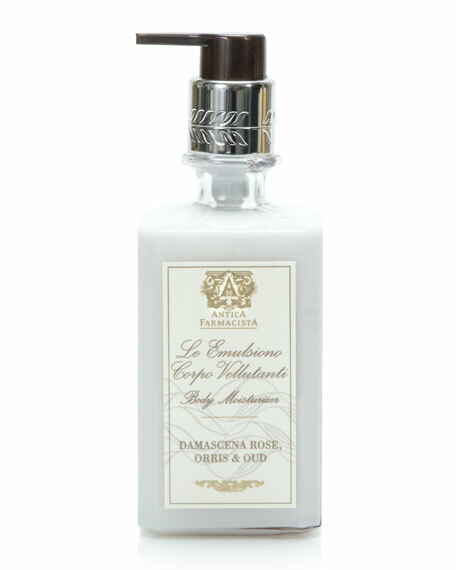 ROMAN CHAMOMILE: it refreshes and calms sensitive skin. LIME TREE: It refreshes and calms sensitive skin. ALOE VERA: soothing, moisturizing and purifying. BISABOLOL: soothing and calming: It helps reduce visible redness. GREEN TEA: skin softening and toning. 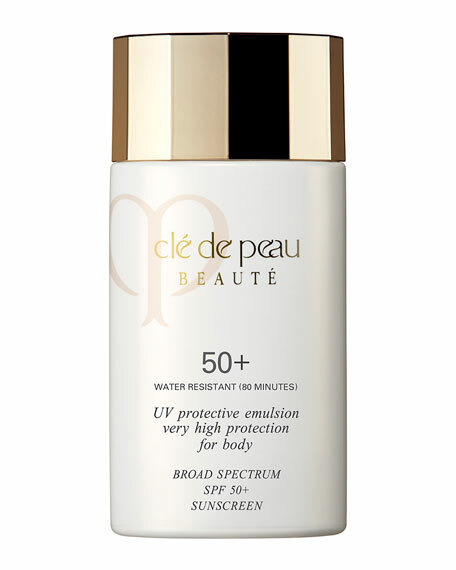 NATURAL LIPIDS: help soften and moisturize skin acting as a skin barrier protector. Extracted from coconut and sunflower oil. Gentile enough for all ages. While we've used the purest, most gentle organic ingredients in this formula, it should be kept out of baby's eyes. Bébé products are all allergy and dermatologically tested; gluten, soy and wheat-free; PETA certified cruelty-free and vegan; free of any chemical additives, phthalates, SLS, or dyes. 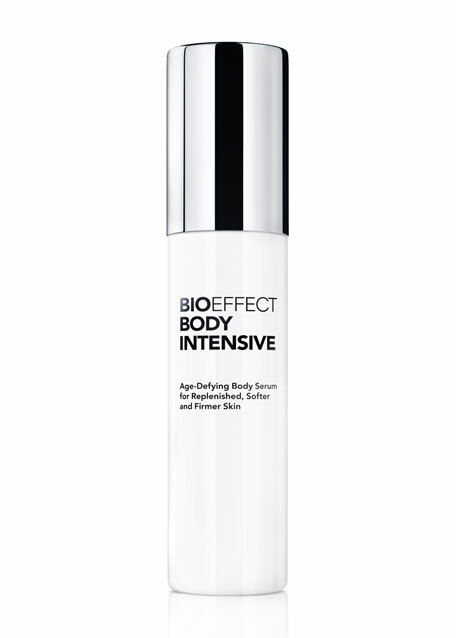 Stimulating, age-defying serum. Diminishes dry spots. Absorbs instantly, leaves skin feeling smooth and silky. Firms, hydrates, and tones. Paraben-free. Fragrance-, alcohol-, and oil-free. Hypoallergenic and cruelty-free.